Aww Sylvie what a cute birdie! Great card - don't possess any Washi tape so no challenge for me this week! 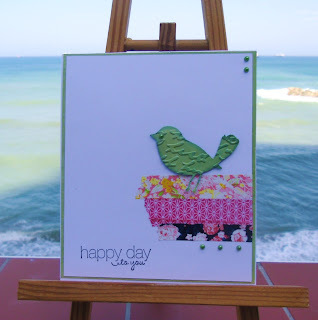 What a really pretty card, I really like that cute bird and what you have done with the Washi Tape. This turned out so lovely. 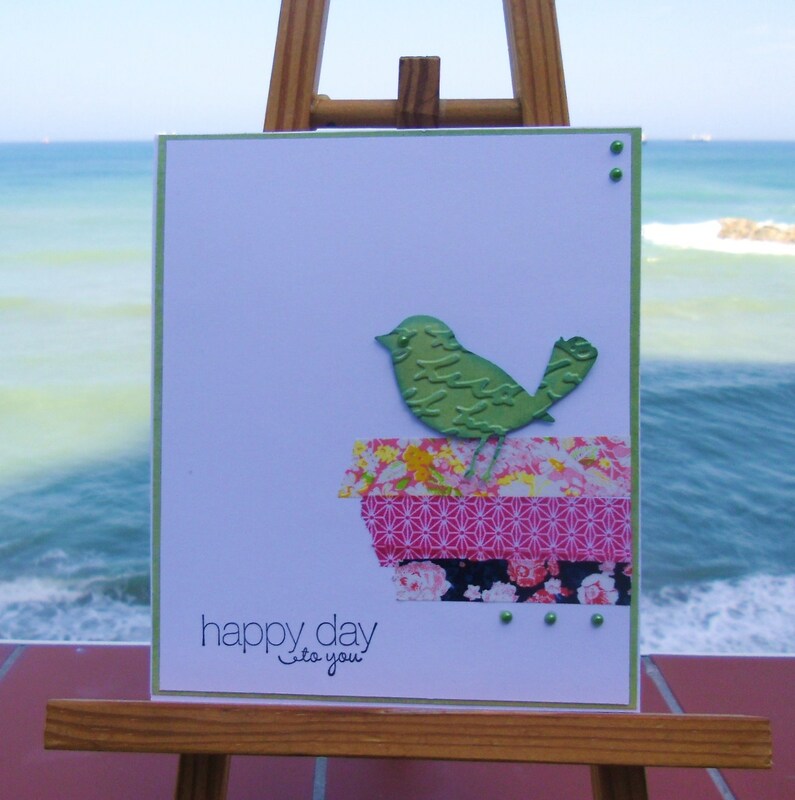 The bird with the script embossing on it is a brilliant idea. I think you aced the theme! Great card Sylvie good luck with your entry I haven't fot time at the moment to enter but I toi struggle with CAS! Have a great weekend from gorgeous hot and sunny Kent! Does't look like you struggled with your fab card Sylvie! Love the cute bird which looks like he's perched on a wall. Glad you're still having great weather. Gorgeous card Sylvie. The little bird and washi tape look fabulous. I'm loving your CAS card - such beautiful colours too. Thank you for dropping by and leaving me some lovely comments. I look at my washi tape and I never use it because I just can't figure out what to do with it. But you have shown me that a few colorful strips are a perfect based for a sweet bird die! This is gorgeous Sylvie. The washi tape is gorgeous and such a sweet little bird. I think your CAS cards are absolutely gorgeous Sylvie - and this one is no exception! I love the cute bird with the washi strips and that lovely sentiment too. Very cute, Sylvie, and a great way to use the washi tape!